This is going to help Canadians? Canada will impose tariffs on dozens of U.S. products in response to President Donald Trump’s tariffs on Canadian steel and aluminum, Prime Minister Justin Trudeau has just announced. Trudeau described the U.S. tariffs, which Trump’s administration announced earlier on Thursday, as “totally unacceptable” and “an affront” to a country whose soldiers have fought with American soldiers for decades. Canada’s Foreign Affairs Minister Chrystia Freeland said the Canadian tariffs would amount to $16.6 billion, the value of Canadian steel and aluminum exports affected by the U.S. tariffs. They will hit not only steel and aluminum products but dozens of others, from soup to boats to toilet paper to playing cards. Retaliatory tariffs really do not make a lot of sense. 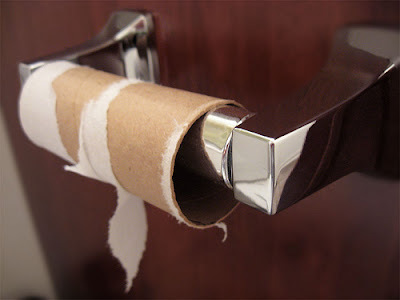 Making toilet paper more expensive for Canadians, for example, is not exactly a step in the direction of free trade and raising the standard of living for Canadians. The best thing Trudeau can do in response to Trump's tariffs is to ignore them. Trudeau himself causing pain for Canadians because Trump wants to cause pain on Americans is not sound policy. I was watching CBC local news from across the river tonight and the Canadians are quite upset with this. I never really thought of it before, but apparently a truck will not be able to bring in a load of goods with a tariff on them until they prove to the border guard that the tariff as been paid. The newsman suggested that this was going to cause havoc at the border with endless traffic jams. There is only one bridge between Detroit and Ontario and a two lane tunnel that does not really like trucks. There’s another bridge between Port Huron, MI and Sarnia, Ontario and another bridge 350 miles north at Sault Ste. Marie. There are two bridges between Niagara Falls, Ontario and Buffalo, New York. That’s it. Good luck with that. These damn retaliatory tariffs do not make sense. There is a lot of kvetching on "protecting the industries of Canada" but what about us damn Canadian consumers? Does anyone care about protecting us? If we were buying US-made items, it's because we thought they were better (quality, price, etc.) than whatever the Canadians were producing. So now prices of consumables are going to go up and again the forgotten men and women have to foot the bill. Good job.